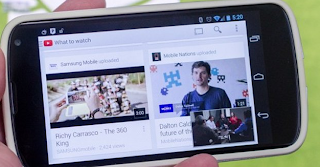 Google has began rolling out its latest update to its YouTube 5.0 for Android includes several features to make the app more like watching YouTube on detop and, in some cases, surpass the Web experience. Google confirmed that the updatedYouTube app is expected to reach the Google Play store sometime tomorrow morning. YouTube for iOS is also expected to update soon.